What inspires a classic? For Mido, its range of classic timepieces take inspiration from some of the world’s most iconic structures; architectural marvels that have withstood the test of time or marked a moment in history. These include the Sydney Harbour Bridge, the Royal Albert Hall in London, the Eiffel Tower, the Gibraltar Lighthouse, and the Colosseum in Rome. 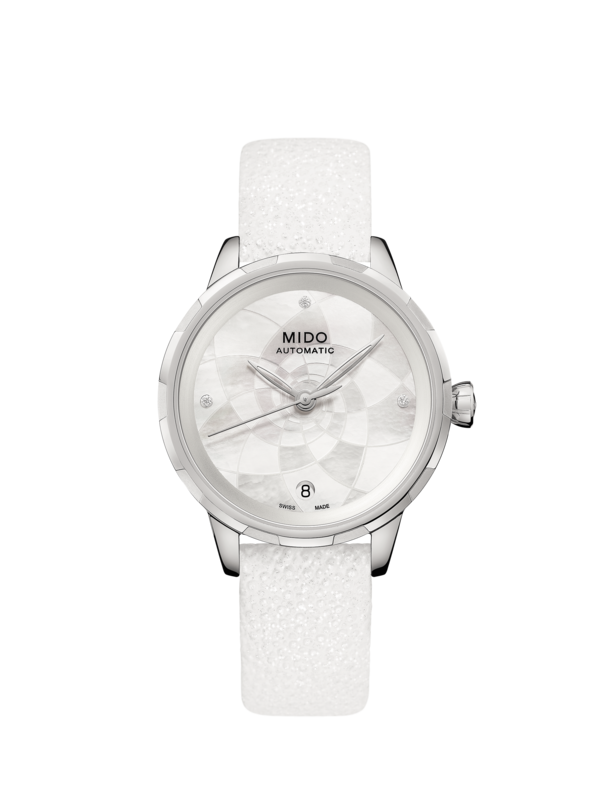 Mido, which recently celebrated 100 years, marked the occasion with a new women’s collection that was inspired by the ArtScience Museum in Singapore – the Rainflower. 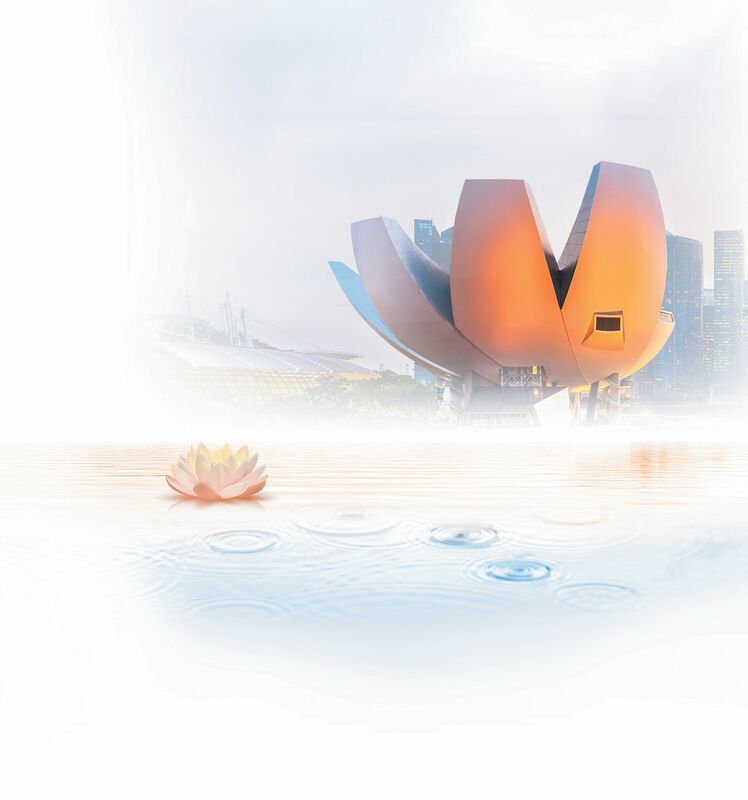 The ArtScience Museum, which was designed by renowned architect Mr. Moshe Safdie, stands out amongst Singapore’s distinct skyline with a lotus-like circular shape that calls to mind white flower petals opening towards the sky. Beyond the surface, a sustainable spirit powers the iconic building. Rainwater is collected on the roof and is channeled for re-use, which echoes Mido’s timepieces because they are designed for longevity and to defy the passage of time. It is also this particular characteristic of the ArtScience Museum that inspired the brand to choose the name for this collection, in addition to more obvious aesthetic choices like pure lines, gentle curves, and an evocation of the splendor of the plant world. A unique participative campaign accompanies the launch of the Rainflower, allowing owners to truly take ownership of the timepiece. 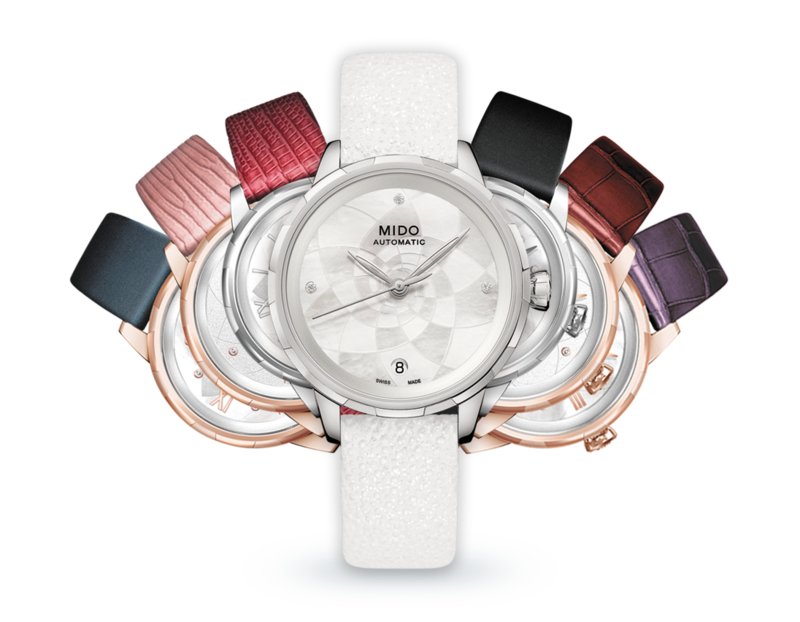 Through the #CreateYourMido campaign, people are invited to visit rainflower.midowatches.com, a mini-website where they can choose among various case treatments, straps, dials, and even precious stones to put their personal stamp on the timepiece. Take part in this campaign and create the timepiece of your dreams, which you can share through social media. If you’re lucky, you could stand the chance to win a trip for two to Singapore or one of ten Rainflower watches. Four of the chosen timepieces from the campaign will be unveiled on 21 March 2019, while the launch of the permanent collection will be on May 2019.